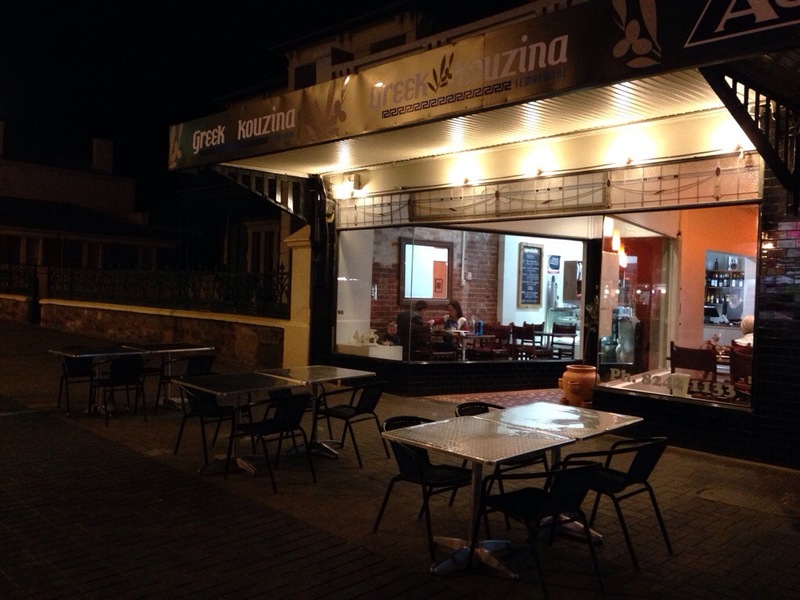 The last restaurant on my list, before I head into the final Glenelg stretch. 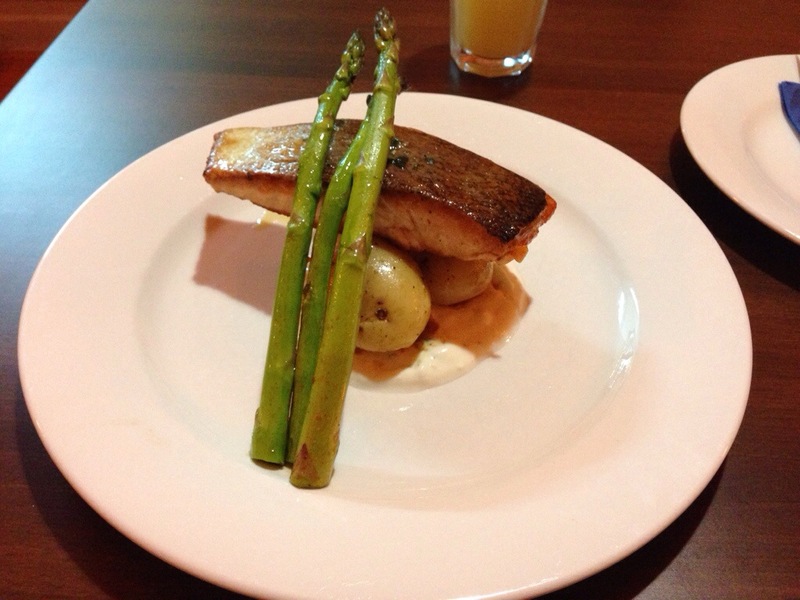 Fresh Atlantic salmon, served on a base of tzatziki, lemon potatoes & topped with asparagus. The salmon is well-done, and the asparagus is nice and crispy, but I’m not sure that tzatziki works here. I’ve had tzatziki with meat before, but not with fish. The potatoes are just potatoes. Potatoes are inherently uninteresting, so if they’re served whole, they need a really interesting or strong-tasting skin, in order to taste good. These actually have a faint bitter taste I can’t quite identify. Filo pastry with semolina custard filling. Served with ice cream. I ask what’s good, but the waitress is doing her third shift, so doesn’t know yet. However, she’s happy to fill me in on what looks good. A waiter dashes around for a while with a plate, before speedily adding a dollop of Black & Gold vanilla ice cream to my plate behind the bar, and delivering it to my table. 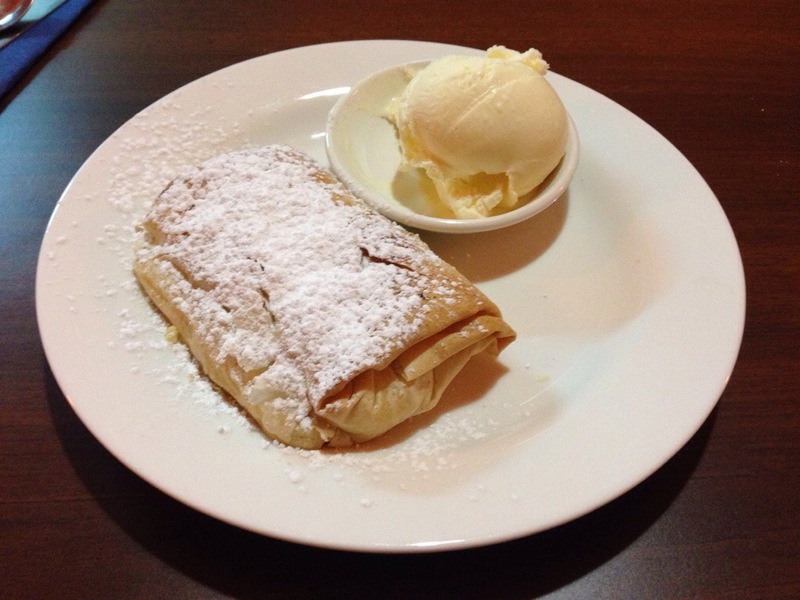 The filo pastry here is very thick, and makes the dessert slightly difficult to eat. However, the custard inside the pastry is warm and mooshy, and has a mild taste. This is pleasant enough, but lacks any real strong taste. The Black & Gold vanilla ice cream is probably the star of the show here.